Lee's famous all stainless steel corn cutter and creamer, made in the USA! 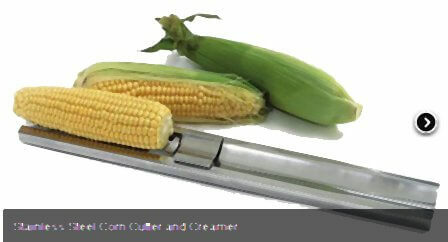 This all stainless steel corn cutter was created in 1964 and is based on the original wooden Lee corn cutter and creamer. The shredder and scraper are built into the base. 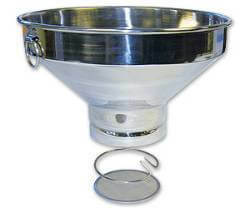 The shredder is used to produce fresh and flavorful cream corn. However, if you have your sights set on whole kernel corn, the shredder can be covered by the cover 'guard' which is easily removable. This corn cutter and creamer will SAVE you a tremendous amount of TIME. With proper setup and a little practice, it will outperform a knife many times over. Plus, it cleans up easily and will last for many generations. One year warranty (but they last forever). Satisfaction 100% guaranteed!